If you've followed me for a while, you know that I am a HUGE fan of Game of Thrones. Every series, I'd usually put together a few posts with themed nail art. This series, I'd love to do nail art based on each episode. Of course, I'm not getting off on the best foot considering I'm starting on the second week but sure, it's the thought that counts, right? Obviously, spoilers ahead for Game of Thrones 7x02 "Stormborn"
At the end of last week's season opener, we discovered that Jorah is in the Citadel, waiting out his days with Greyscale, hoping to be cured by the maesters. In Stormborn, we got a bit more close and *ahem* personal with his condition. 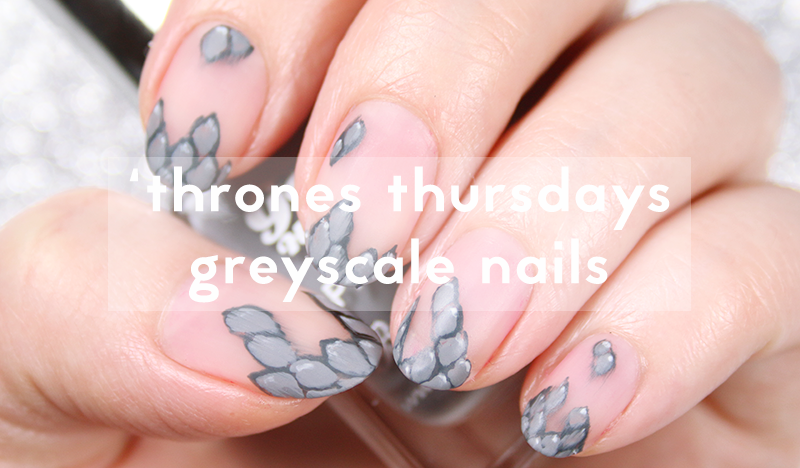 That cut to the pie 🤢 Anyway, I've done dragon scale nails before, but I fancied trying out a bit of Greyscale on my nails, complete with matte top coat. OK, so remember when Models Own didn't release any new nail products for a few months? Well, that time has truly passed! This summer they have been releasing limited edition products left, right and centre. 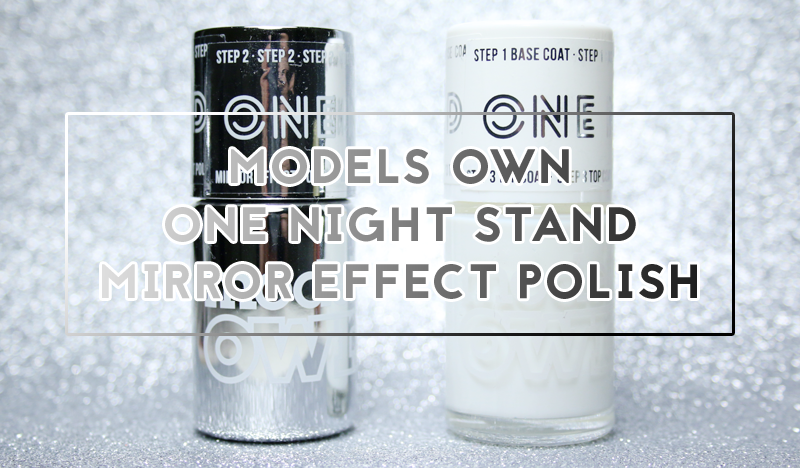 The latest addition to the brand comes in the form of One Night Stand, a two-step mirror chrome nail polish. Now, Models Own have their fair share of chrome polishes (see my posts here and here) but this one is different. Unlike the others, One Night Stand has a TRUE mirror-like finish. It isn't a foil-like polish. It replicates the chrome finish you would traditionally find with chrome powders and gel polish. Models Own is one of the first larger nail brands to release a nail polish with this type of finish. Soigné is releasing their version today (14/07/17) as well, and Ciaté have been teasing theirs for a long while. Hi everyone! Today's post will get everyone into the summery mood *even if the weather is autumnal in these parts*. Models Own latest Summer collection is a departure from their usual Polish for Tans range. 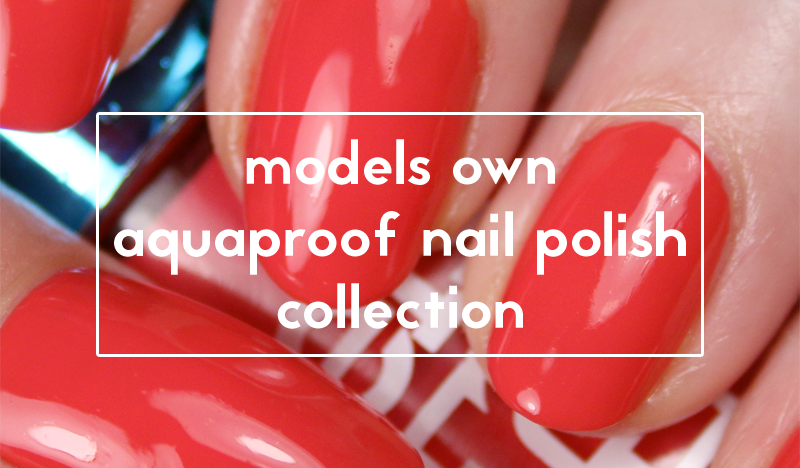 The Aquaproof collection is a set of five limited edition summer brights that have a UV filter, protecting them from the sun so that the colour doesn't fade while on holiday in summery climes. I have all five shades swatched for you guys to see. Thanks to Models Own for sending these my way to try out, I hope you like them! Each swatch is two or three coats (will specify) and a layer of top coat. Without topcoat, these polishes have a semi-matte finish. These shades have a crelly consistency, hence why they need a few more coats to be opaque. So this collection has been hyped up for the last few weeks but it's now available! The Celestial collection from Models Own features iridescent lip toppers, glitter lip kits, face glitter kits, an eyeshadow palette and 5 new nail polishes. The lovely team at Models Own sent me the WHOLE collection, including makeup, to try out. It would only be appropriate for me to write up a blog post about the polishes first but let me know if you want to see a detailed review of the rest of the collection. It'll all be on my Instagram over the next few weeks so follow me on there to keep updated. The Celestial polishes have a pearly finish, apart from Stunning, a gunmetal shimmer. They all come in at £5, the usual price for Models Own polishes and the swatches are all three coats plus a top coat. These swatches are all three thin coats (unless otherwise stated) and a slick of top coat! Since this collaboration was first teased, I think some of us nail art nerds geeked out at the idea of one of the best UK brands collaborating with who I'd consider as one the OG nail artists out there, Sophy Robson. The SoFly collection is inspired by Sophy's work in street art, as well as her signature eye-catching nail designs. There was speculation as to what this collection would contain. I would have put money on a bright pink and I was right, along with a lovely lilac, a classic red, gorgeous gold and a cool speckle topper. Thanks to Models Own for letting me have a little preview of the collection which launched in store and online on Friday. Pop under the cut to see swatches of the collection, along with my thoughts on the shades. It's only a few months since the nail craze had dominated our insta feeds but I've finally given chrome powder a go. I was sent a few bits by iZ Beauty of London to try out and I thought this was as best an opportunity to give chrome nails a go. I'll say this from the get-go, my feelings are...mixed. I followed the instructions given on their website (HERE). I used a black base since this seems to be the most effective colour to give a true colour payoff for many chrome powders. The instructions say to use either a silicon/sponge applicator or rubber glove to apply the powder to the nail. All I had was a sponge applicator I managed to scavenge from an eye shadow palette. I might have been using too much product but this process is MESSY. I don't understand how there are so many pictures of freshly applied chrome nails with little to no mess. A week later I still have some powder in little nooks and crannies of my fingers. I have the pleasure of showing you guys a new brand of gel polish which is local to me. Taylor Nails is a gel polish brand started by the family behind Northern Ireland's Young Nails franchise. The brand is an affordable three week wear gel system with an opening collection of 20 cool colours. In case you didn't know, I took a course last year with Young Nails to qualify in acrylic nails (I should really write up that blog post) and when Taylor Nails launched, the lovely girls behind the scenes let me choose some shades to try out and show you guys. I've got swatches of four different shades to show you so let's hop to it! All of the colours were swatched with three thin coats and topped with the brand's no-wipe top coat! Also, in today's post, I'm introducing THE FLAIL-O-METER! Just a little fun way to show you how EXCITED I was by the polish. All of the swatches are three thin coats followed by a layer of top coat. 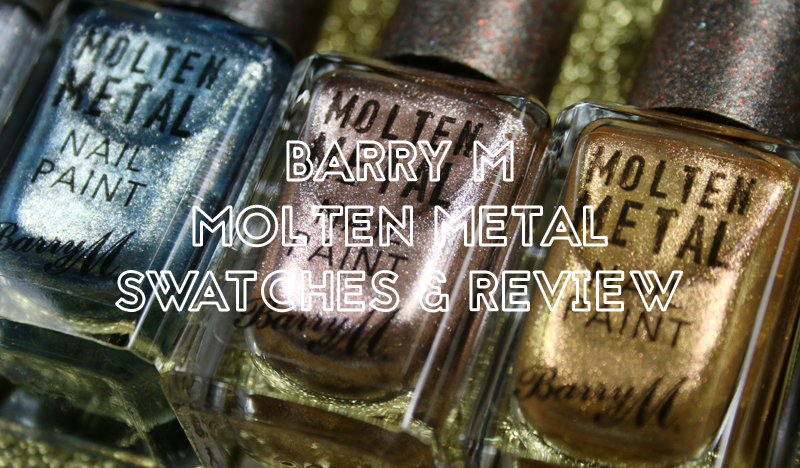 The polishes feature Barry M's signature wide brush so application was pretty easy. For today's post, I've got swatches of two of Roxanne Campbell's nail lacquers, straight from her first collection of high quality nail polishes. 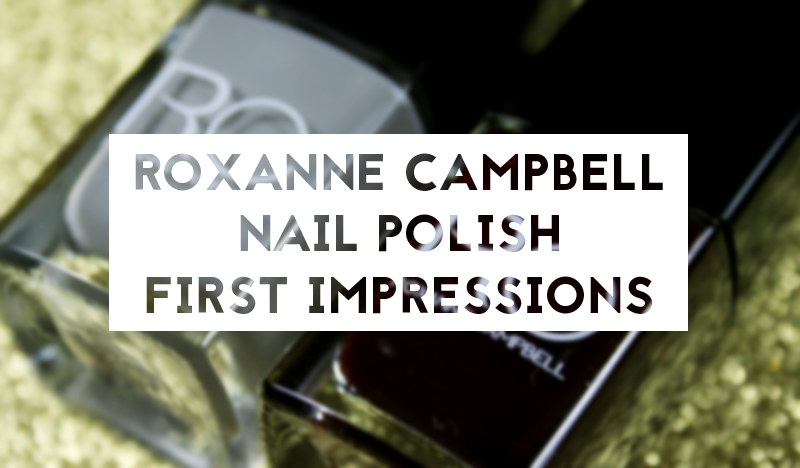 For those unfamiliar, Roxanne Campbell is a well-known nail artist and manicurist who has worked at New York and London Fashion Week, as well as for a host of brands and publications. She has launched her own nail polish line, hoping to fill a gap in the market she saw for luxury, fashion forward colours. The polishes are 3-free and claim to be one coat wonders. I've got Expensive Taste (a wine/berry shade) and Stormy Weather (mid-grey) to show you guys and to fill you in on my first impressions.